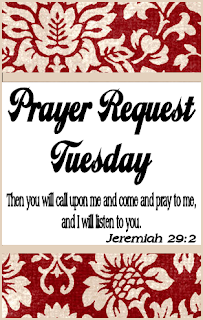 This is the day set aside for prayer, for you. Please pray for my daughter. She needs to get a CDL to be able to drive bus for a new job. She's been having troubles passing the test. She's trying to work a full time job and be a mom while studying for the test. She's taken it 3 times, Nov 9th will be the 4th. Thank you so much! !